Nail art should express your and your client’s individuality, so we love the look of every nail sporting a different design. But it can be difficult to create a look that comes across as put-together, and not like you were randomly swatching your entire summer polish arrivals onto your client’s digits. 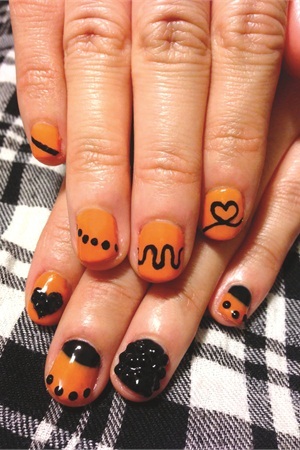 Los Angeles-based nail tech Britney Tokyo (www.britneytokyo.com) shares her tips for making 10 different nails look like one solid masterpiece. COLOR: You don’t have to use the exact same colors on every nail but you have to use the same type of color. For instance, all pastels, all brights, all neons, or simply black and white. IMAGES: Don’t use too strong of images. Those are better left for clients who want one accent nail. “I draw out all 10 designs first, then move them around like puzzle pieces to decide on which nail the design will match the best. 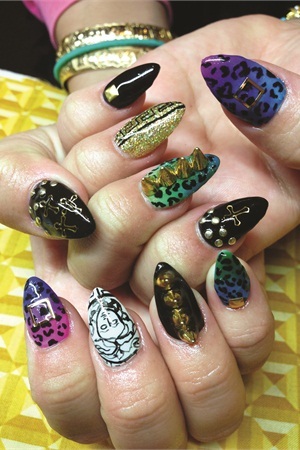 And if everything is too unique of an image, it wouldn’t fit well on all 10 nails,” Tokyo says.